It's almost St. Patrick's Day and you've got to have green and white. 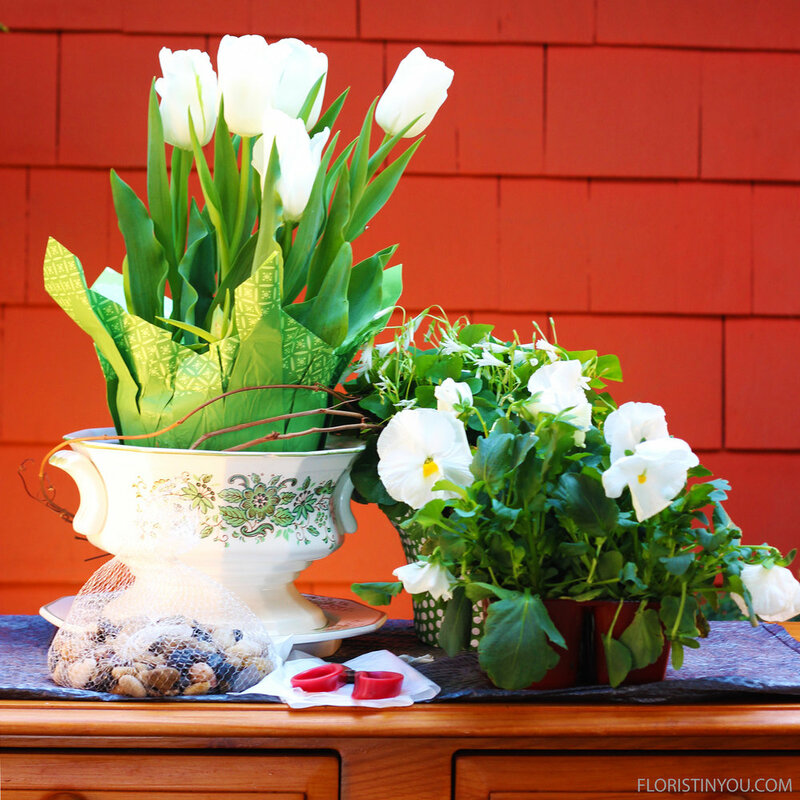 The large white tulips in this arrangement are surrounded by a rim of green Shamrocks and Mammoth White Pansies. This arrangement is sure to get you in the mood for all things Irish. The twisting Grapevine speaks of spring. It stands about 17 inches tall and is 12 inches in diameter and so it is perfect for a front entry table. If you're ready, let's begin. Here are you plants and supplies. Put a trash liner in tureen. Put a handful of pebbles or gravel in. 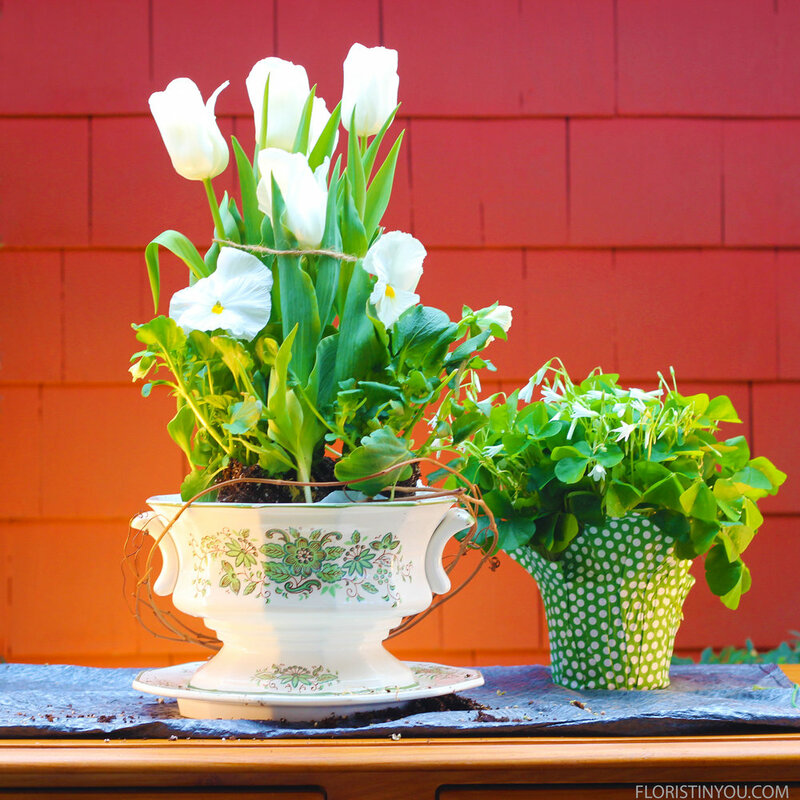 Build up dirt around sides of tulips so pansies will be at right height. 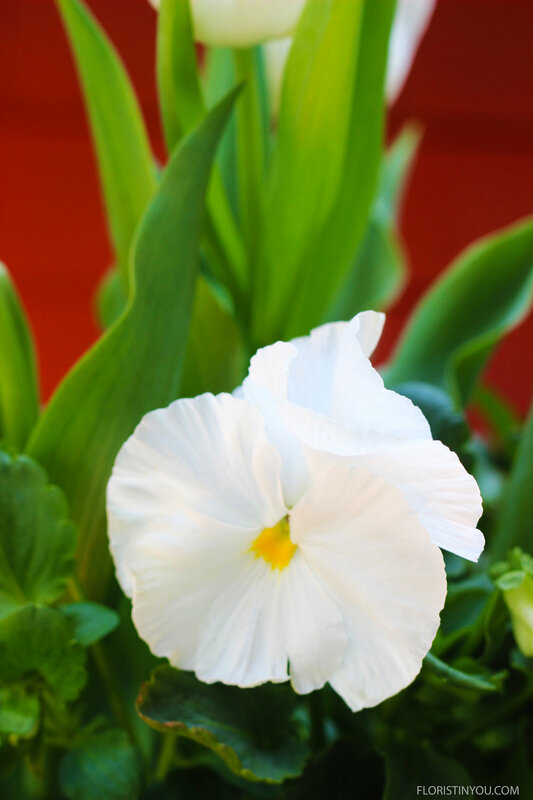 Loosen roots of pansies and plant around tulips. Break shamrock roots to separate. Separate carrot like roots and plant around the sides. Look at these gorgeous Mammoth Pansies. 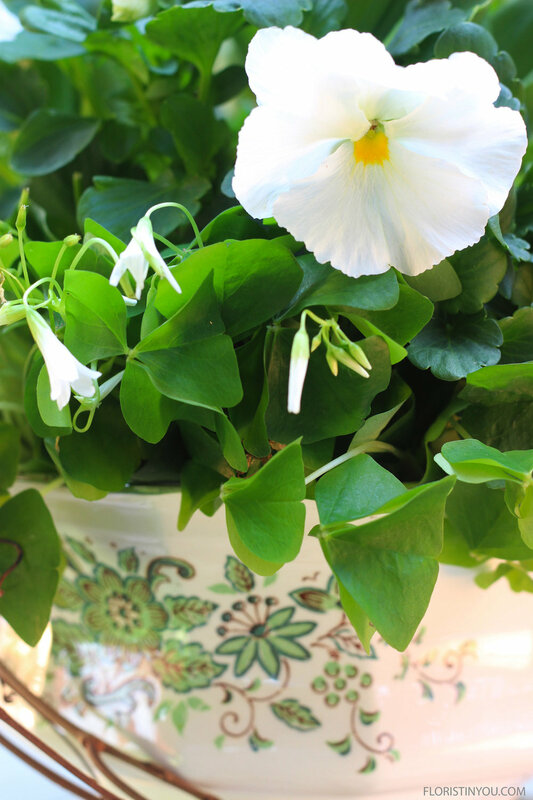 See how dainty the little white shamrock flowers are. You are done. Happy St. Patrick's Day.